Niemals zuvor entwickelte Minelab einen solchen multifunktionellen, leistungsstarken, leichtbedienbaren und effizienten, ultimativen Gold- und Tiefendetektor wie diesen. Mit der besten “Goldnugget” Tiefenleistung…ever, ever, ever !!! 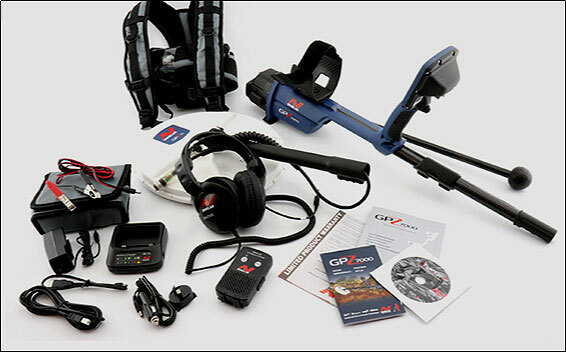 Der Minelab GPZ 7000 arbeitet mit der bekannten von Minelab patentierten ZVT (Zero Voltage) und MPS Technologie. Zwei verschiedene Stromstärken, die zusätzlich an eine Dual- Pulsinduktion- Transmitter Frequenz gekoppelt sind, verhelfen dem Gerät zu unglaublichen, bisher nicht vergleichbaren Eindringtiefen. Die stärkste Leistung wird auf Gold, bzw. Naturgold (Goldnuggets) erreicht und besonders auf stark mineralisierten und salzigen Böden. Die Suchspule ist wasserdicht bis einen Meter Tiefe !!! Extreme Gold Depth. So how deep can you go ? Well, up to 40 % deeper than the GPX series. Old gold fields are new again, thanks to the revolutionary new ZVT technology. Minelab takes you much deeper than ever before !!! Simple Menu System. The easy- to- use Menu Pages group similar functions together under Detect and Map sections, with all settings quickly accessible. Use the Guide Sequences to get started. You don’t need to be an expert to find gold! Maximum Gold Sensitivity. The incredible sensitivity of the GPZ 7000 with the Super D coil gives you the ultimate advantage in the field. Find gold others have missed, from sub- gram gold through to those elusive ‘retirement nuggets’ still out there. Wireless Audio Freedom. Detect without your headphones attached to the detector. With the WM 12 Wireless Module you have the choice of using the in- built speaker, the supplied headphones, or your favourite headphones. Precision Ground Balance. Most gold is buried in the mineralised ‘difficult’ ground that many detectors can’t cope with. 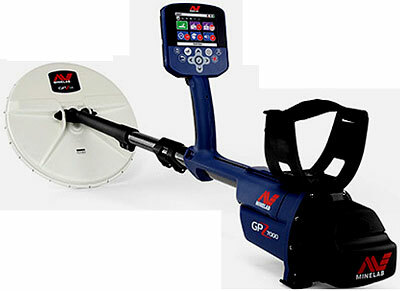 The GPZ 7000 accurately ‘balances’ and automatically ‘tracks’ to even the most severe ground conditions, with ease. GPS Locating & PC Mapping. See your location and log gold finds as you detect. With the built- in GPS you’ll efficiently cover more ground and won’t miss a nugget! Record your favourite ‘hot-spots’ by saving data to XChange 2 with Google Maps. Enhanced Noise Immunity. 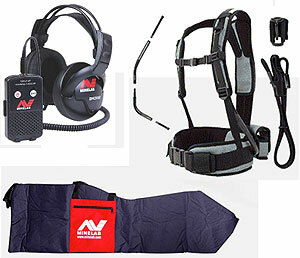 The outstanding noise immunity of the GPZ 7000 enables very smooth and quiet detecting. With 256 Noise Cancel channels, the GPZ 7000 picks up less atmospheric noise. Listen to the gold, not the noise interference !! !